I'm Kristy, a wedding and portrait photographer, specializing in gorgeous southern weddings, Destination weddings, engagements & family Portraits.! 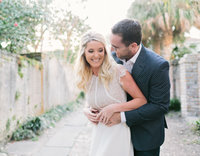 Shaun & Sarah's Charleston, SC Engagement Session! Alex & Cole’s Pine Lakes Country Club Wedding was a joy to photograph! I knew Alex was my kinda girl when she told me her flowers were her main focus!! These wasn’t your average floral design. Willow Events Design created something truly unique for Alex & Cole and I made sure to capture all of it! The day started with a good chance of showers, but the weather cleared just enough for everything to go as planned! Alex & Cole are simply perfect together and I loved this day because of how adorable these two are together!